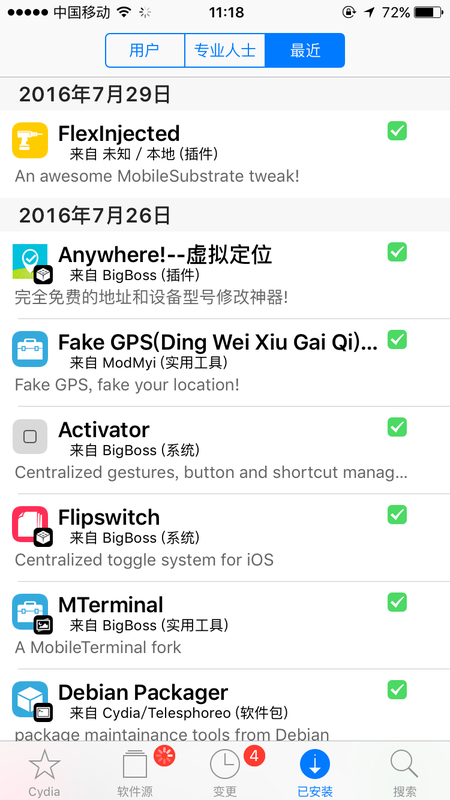 基本上,tweak都依赖于一个名叫cydia Substrate (以前名字也叫mobile Substrate)的动态库,Mobile Substrate是Cydia的作者Jay Freeman (@saurik)的作品，也叫Cydia Substrate,它的主要功能是hook某个App，修改代码比如替换其中方法的实现，Cydia上的tweak都是基于Mobile Substrate实现的. 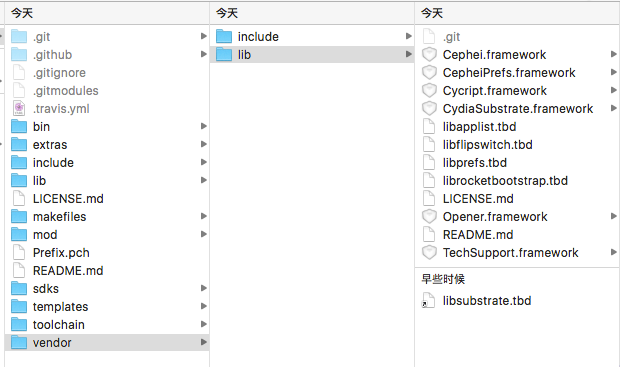 [common] Move vendored includes and libraries to a vendor/ subdir. 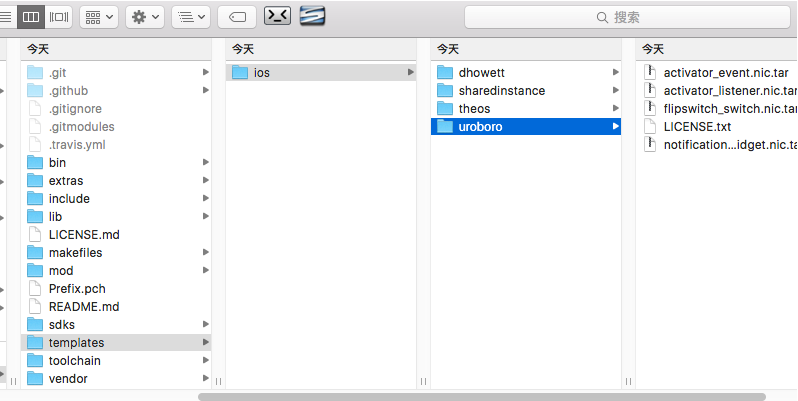 ==> Error: /Applications/Xcode.app/Contents/Developer/usr/bin/make package requires dpkg-deb. 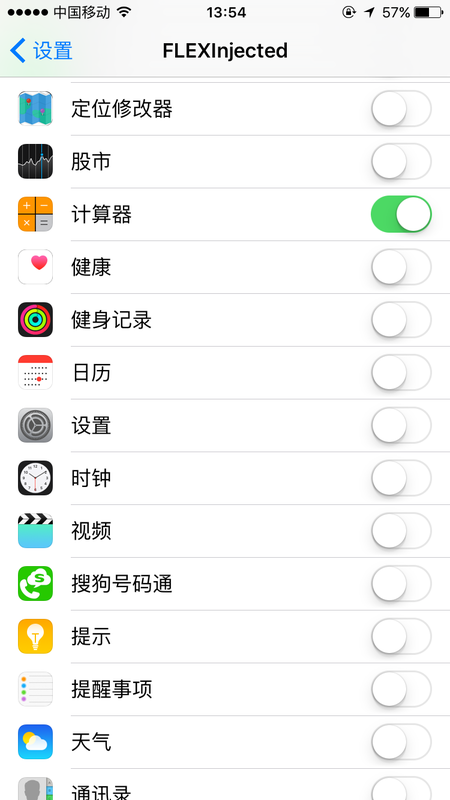 从https://github.com/DHowett/dm.pl 下载dm.pl文件(其实新版的theos的bin目录下包含了这个文件了),将其重命名为dpkg-deb后,放到/opt/theos/bin/目录下,chmod 777 /opt/theos/bin/dpkg-deb 来提升它的权限,再拷贝到theos/bin下了!! 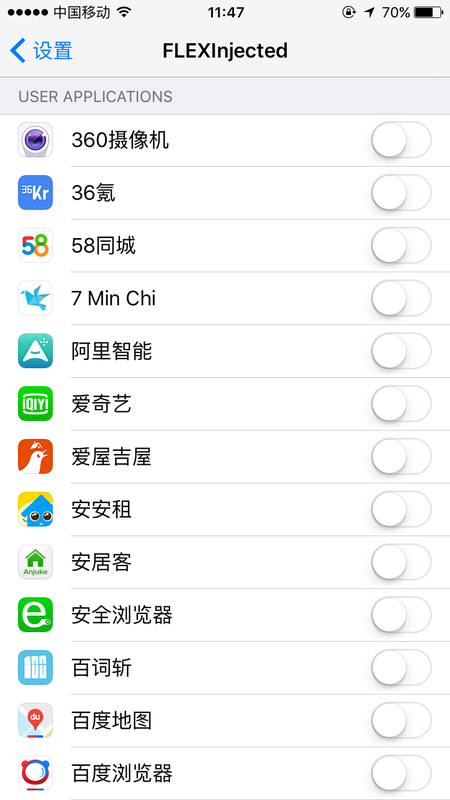 Description: An awesome MobileSubstrate tweak! // Hooking an instance method with an argument. %log; // Write a message about this call, including its class, name and arguments, to the system log. %orig; // Call through to the original function with its original arguments. %orig(nil); // Call through to the original function with a custom argument. // Hooking an instance method with no arguments. // Always make sure you clean up after yourself; Not doing so could have grave consequences! IMP MSHookMessage(Class class, SEL selector, IMP replacement, const char* prefix); > // prefix should be NULL. 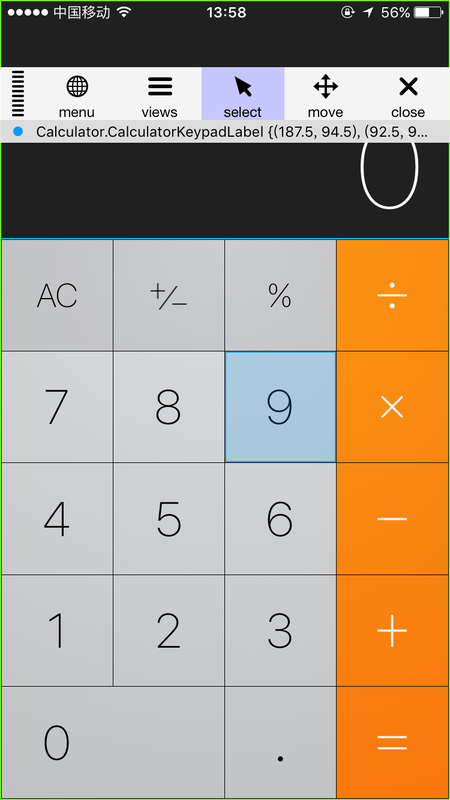 // The attribute forces this function to be called on load. 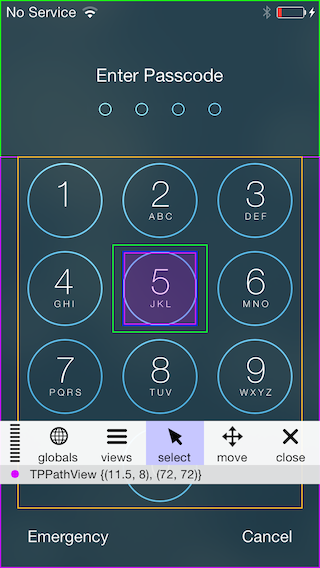 Hooks are written with syntax similar to that of an Objective-C @implementation. the generation of a class list and an automatic constructor. 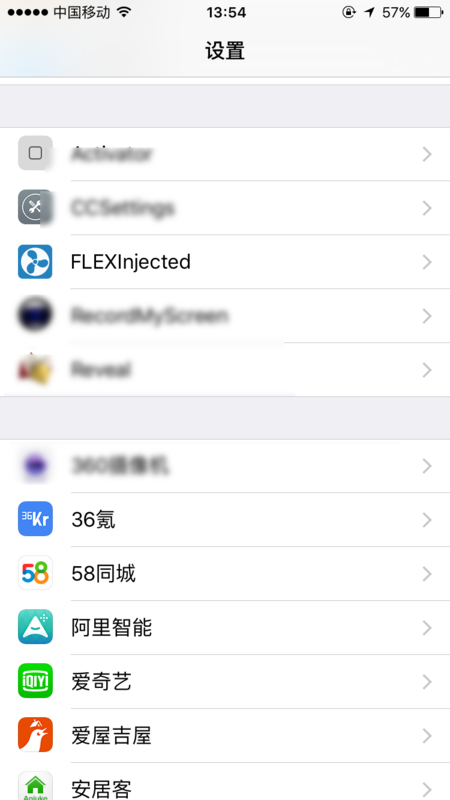 NSDictionary *prefs = [NSDictionary dictionaryWithContentsOfFile:@"/var/mobile/Library/Preferences/com.yourcompany.flexinjected.plist"] .这个文件是我们在上面的plist中定义的用来存放用户选择的app列表的.通过读取它我们就可以知道用户选中了哪个app.